Automotive vehicles, namely cars, trucks and all-terrain vehicles, automotive parts, components and assemblies. Technology consulting, teaching and research in the field of automotive manufacturing. Installation, assembly, servicing, repair and maintenance of automotive vehicles, namely cars, trucks and all-terrain vehicles, automotive parts, components and assemblies. Publications, namely books, magazines, newsletters, and bulletins relating to automotive vehicles. Bags, packs and sacks, namely all purpose sport bags, athletic bags, gym bags, shoulder bags, back packs, nap sacks, fanny packs, tote bags, duffel bags relating to the sale of automotive vehicles. 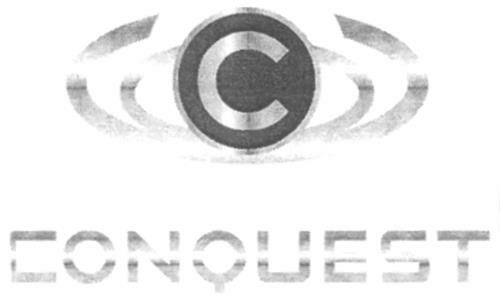 On Tuesday, November 18, 2008, a canadian trademark registration was filed for the above pictured logo by Metelix Products Inc. 3300 Bloor Street West, Suite 3100, Toronto, ONTARIO, CANADA M8X2X3. The Canadian IP office has given the trademark application number of 1419431. The current status of this trademark filing is Registration published. The correspondent listed for is GARDINER ROBERTS LLP of Bay Adelaide Center - East Tower, 22 Adelaide St West, Suite 3600, Toronto, ONTARIO, CANADA M5H4E3 The trademark is filed in the description of Automotive vehicles, namely cars, trucks and all-terrain vehicles, automotive parts, components and assemblies. , Technology consulting, teaching and research in the field of automotive manufacturing. , Installation, assembly, servicing, repair and maintenance of automotive vehicles, namely cars, trucks and all-terrain vehicles, automotive parts, components and assemblies. , Publications, namely books, magazines, newsletters, and bulletins relating to automotive vehicles. , Bags, packs and sacks, namely all purpose sport bags, athletic bags, gym bags, shoulder bags, back packs, nap sacks, fanny packs, tote bags, duffel bags relating to the sale of automotive vehicles. , Retail sites for the sale of automotive vehicles, namely cars, trucks and all- terrain vehicles, automotive parts, components and assemblies; the sale of publications, namely books, magazines, newsletters, and bulletins relating to automotive vehicles, the sale of bags, packs and sacks, namely all purpose sport bags, athletic bags, gym bags, shoulder bags, back packs, nap sacks, fanny packs, tote bags, duffel bags relating to the sale of automotive vehicles; the sale of luggage, leather goods and accessories therefor, namely wallets and key cases; umbrellas relating to the sale of automotive vehicles; the sale of clothing and accessories therefor, namely, warm up suits, jogging suits, sweat suits, sweat pants and sweatshirts, shorts, sweat shorts, gym shorts, tops, jackets, coats, shirts, sport shirts, t-shirts, knit shirts, polo shirts, pullovers, sweaters, parkas, wind resistant jackets, leather jackets relating to the sale of automotive vehicles, the sale of hats, caps, visors, hoods, berets, headbands, sweat bands, and ear muffs relating to the sale of automotive vehicles; the sale of sporting goods, and accessories therefor, namely -figurines, action figures, sports balls, action skill games, board games, card games relating to the sale of automotive vehicles; and the sale of food and non-alcoholic beverages, namely, nuts, soda pop, candy relating to the sale of automotive vehicles. , E commerce services namely on line sale of automotive vehicles, namely cars, trucks and all-terrain vehicles, automotive parts, components and assemblies; the sale of publications, namely books, magazines, newsletters, and bulletins relating to automotive vehicles, the sale of bags, packs and sacks, namely all purpose sport bags, athletic bags, gym bags, shoulder bags, back packs, nap sacks, fanny packs, tote bags, duffel bags relating to the sale of automotive vehicles; the sale of luggage, leather goods and accessories therefor, namely wallets and key cases; umbrellas relating to the sale of automotive vehicles; the sale of clothing and accessories therefor, namely, warm up suits, jogging suits, sweat suits, sweat pants and sweatshirts, shorts, sweat shorts, gym shorts, tops, jackets, coats, shirts, sport shirts, t-shirts, knit shirts, polo shirts, pullovers, sweaters, parkas, wind resistant jackets, leather jackets relating to the sale of automotive vehicles, the sale of hats, caps, visors, hoods, berets, headbands, sweat bands, and ear muffs relating to the sale of automotive vehicles; the sale of sporting goods, and accessories therefor, namely figurines, action figures, sports balls, action skill games, board games, card games relating to the sale of automotive vehicles; and the sale of food and non-beverages, namely, nuts, soda pop, candy relating to the sale of automotive vehicles. , Luggage, leather goods and accessories therefor, namely wallets and key cases; umbrellas relating to the sale of automotive vehicles. , Clothing and accessories therefor, namely, warm up suits, jogging suits, sweat suits, sweat pants and sweatshirts, shorts, sweat shorts, gym shorts, crop tops, fleece tops, halter tops hooded tops, knit tops, jackets, coats, shirts, sport shirts, t-shirts, knit shirts, knit shorts, polo shirts, pullovers, sweaters, parkas, wind resistant jackets, leather jackets relating to the sale of automotive vehicles. , Distributorship services for the sale of automotive vehicles, namely cars, trucks and all-terrain vehicles, automotive parts, components and assemblies; the sale of publications, namely books, magazines, newsletters, and bulletins relating to automotive vehicles, the sale of hags, packs and sacks, namely all purpose sport bags, athletic bags, gym bags, shoulder bags, back packs, nap sacks, fanny packs, tote bags, duffel bags relating to the sale of automotive vehicles; the sale of luggage, leather goods and accessories therefor, namely wallets and key cases; umbrellas relating to the sale of automotive vehicles; the sale of clothing and accessories therefor, namely, warm up suits, jogging suits, sweat suits, sweat pants and sweatshirts, shorts, sweat shorts, gym shorts, tops, jackets, coats, shirts, sport shirts, t-shirts, knit shirts, polo shirts, pullovers, sweaters, parkas, wind resistant jackets, leather jackets relating to the sale of automotive vehicles, the sale of hats, caps, visors, hoods, berets, headbands, sweat bands, and ear muffs relating to the sale of automotive vehicles; the sale of sporting goods, and accessories therefor, namely figurines, action figures, sports balls, action skill games, board games, card games relating to the sale of automotive vehicles; and the sale of food and non-beverages, namely, nuts, soda pop, candy relating to the sale of automotive vehicles. , Hats, caps, visors, hoods, berets, headbands, sweat bands, and ear muffs relating to the sale of automotive vehicles. , Sporting goods, and accessories therefor, namely figurines, action figures, sports balls, action skill games, board games, card games relating to the sale of automotive vehicles. , Food and beverages, namely, nuts, soda pop, candy relating to the sale of automotive vehicles. , Plastic film for packaging relative to the wares. , Educational materials, namely workbooks, brochures, pamphlets, booklets, manuals, pre-recorded video cassettes, pre-recorded audio cassettes CD-ROMs containing computer games, reference manuals and guides relating to automotive vehicles. .
(1) - Automotive vehicles, namely cars, trucks and all-terrain vehicles, automotive parts, components and assemblies. (2) - Technology consulting, teaching and research in the field of automotive manufacturing. (3) - Installation, assembly, servicing, repair and maintenance of automotive vehicles, namely cars, trucks and all-terrain vehicles, automotive parts, components and assemblies. (4) - Publications, namely books, magazines, newsletters, and bulletins relating to automotive vehicles. (5) - Bags, packs and sacks, namely all purpose sport bags, athletic bags, gym bags, shoulder bags, back packs, nap sacks, fanny packs, tote bags, duffel bags relating to the sale of automotive vehicles. (6) - Retail sites for the sale of automotive vehicles, namely cars, trucks and all- terrain vehicles, automotive parts, components and assemblies; the sale of publications, namely books, magazines, newsletters, and bulletins relating to automotive vehicles, the sale of bags, packs and sacks, namely all purpose sport bags, athletic bags, gym bags, shoulder bags, back packs, nap sacks, fanny packs, tote bags, duffel bags relating to the sale of automotive vehicles; the sale of luggage, leather goods and accessories therefor, namely wallets and key cases; umbrellas relating to the sale of automotive vehicles; the sale of clothing and accessories therefor, namely, warm up suits, jogging suits, sweat suits, sweat pants and sweatshirts, shorts, sweat shorts, gym shorts, tops, jackets, coats, shirts, sport shirts, t-shirts, knit shirts, polo shirts, pullovers, sweaters, parkas, wind resistant jackets, leather jackets relating to the sale of automotive vehicles, the sale of hats, caps, visors, hoods, berets, headbands, sweat bands, and ear muffs relating to the sale of automotive vehicles; the sale of sporting goods, and accessories therefor, namely -figurines, action figures, sports balls, action skill games, board games, card games relating to the sale of automotive vehicles; and the sale of food and non-alcoholic beverages, namely, nuts, soda pop, candy relating to the sale of automotive vehicles. (7) - E commerce services namely on line sale of automotive vehicles, namely cars, trucks and all-terrain vehicles, automotive parts, components and assemblies; the sale of publications, namely books, magazines, newsletters, and bulletins relating to automotive vehicles, the sale of bags, packs and sacks, namely all purpose sport bags, athletic bags, gym bags, shoulder bags, back packs, nap sacks, fanny packs, tote bags, duffel bags relating to the sale of automotive vehicles; the sale of luggage, leather goods and accessories therefor, namely wallets and key cases; umbrellas relating to the sale of automotive vehicles; the sale of clothing and accessories therefor, namely, warm up suits, jogging suits, sweat suits, sweat pants and sweatshirts, shorts, sweat shorts, gym shorts, tops, jackets, coats, shirts, sport shirts, t-shirts, knit shirts, polo shirts, pullovers, sweaters, parkas, wind resistant jackets, leather jackets relating to the sale of automotive vehicles, the sale of hats, caps, visors, hoods, berets, headbands, sweat bands, and ear muffs relating to the sale of automotive vehicles; the sale of sporting goods, and accessories therefor, namely figurines, action figures, sports balls, action skill games, board games, card games relating to the sale of automotive vehicles; and the sale of food and non-beverages, namely, nuts, soda pop, candy relating to the sale of automotive vehicles. (8) - Luggage, leather goods and accessories therefor, namely wallets and key cases; umbrellas relating to the sale of automotive vehicles. (9) - Clothing and accessories therefor, namely, warm up suits, jogging suits, sweat suits, sweat pants and sweatshirts, shorts, sweat shorts, gym shorts, crop tops, fleece tops, halter tops hooded tops, knit tops, jackets, coats, shirts, sport shirts, t-shirts, knit shirts, knit shorts, polo shirts, pullovers, sweaters, parkas, wind resistant jackets, leather jackets relating to the sale of automotive vehicles. (10) - Distributorship services for the sale of automotive vehicles, namely cars, trucks and all-terrain vehicles, automotive parts, components and assemblies; the sale of publications, namely books, magazines, newsletters, and bulletins relating to automotive vehicles, the sale of hags, packs and sacks, namely all purpose sport bags, athletic bags, gym bags, shoulder bags, back packs, nap sacks, fanny packs, tote bags, duffel bags relating to the sale of automotive vehicles; the sale of luggage, leather goods and accessories therefor, namely wallets and key cases; umbrellas relating to the sale of automotive vehicles; the sale of clothing and accessories therefor, namely, warm up suits, jogging suits, sweat suits, sweat pants and sweatshirts, shorts, sweat shorts, gym shorts, tops, jackets, coats, shirts, sport shirts, t-shirts, knit shirts, polo shirts, pullovers, sweaters, parkas, wind resistant jackets, leather jackets relating to the sale of automotive vehicles, the sale of hats, caps, visors, hoods, berets, headbands, sweat bands, and ear muffs relating to the sale of automotive vehicles; the sale of sporting goods, and accessories therefor, namely figurines, action figures, sports balls, action skill games, board games, card games relating to the sale of automotive vehicles; and the sale of food and non-beverages, namely, nuts, soda pop, candy relating to the sale of automotive vehicles. (11) - Hats, caps, visors, hoods, berets, headbands, sweat bands, and ear muffs relating to the sale of automotive vehicles. (12) - Sporting goods, and accessories therefor, namely figurines, action figures, sports balls, action skill games, board games, card games relating to the sale of automotive vehicles. (13) - Food and beverages, namely, nuts, soda pop, candy relating to the sale of automotive vehicles. (14) - Plastic film for packaging relative to the wares. (15) - Educational materials, namely workbooks, brochures, pamphlets, booklets, manuals, pre-recorded video cassettes, pre-recorded audio cassettes CD-ROMs containing computer games, reference manuals and guides relating to automotive vehicles.